Ticket are no longer on sale as this event has taken place. 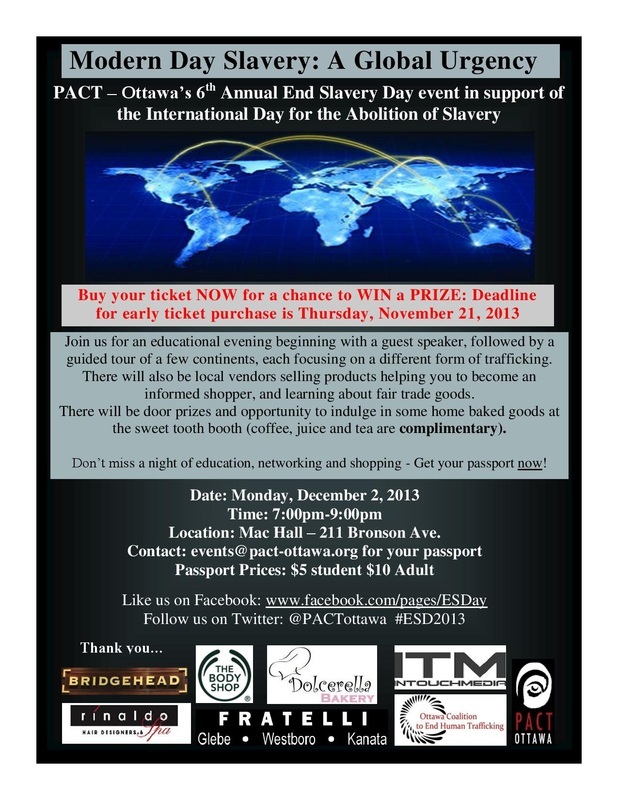 Thank you to all you who came out to the event on December 2, 2013! We were thrilled to accept a variety of creative writing submissions for the 1st annual creative writing contest for this year's End Slavery Day. Three winners were announced and attended the December 2nd event. Click on the titles below to read the winning submissions. 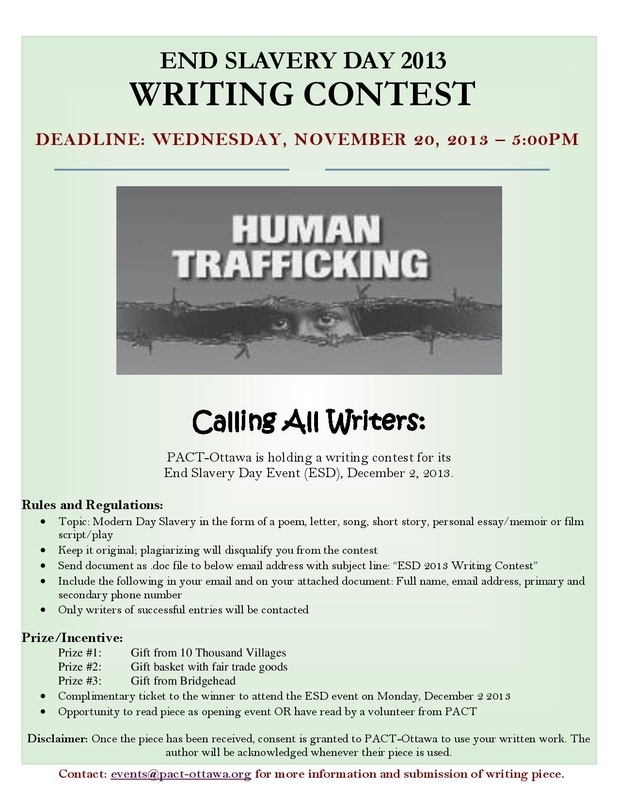 1st place: Mirjana Villeneuve "The Girl Who Cries Snowflakes"
2nd place: Zahraa Haidar Chahrour "Twelve"
3rd place: Khatra Badreldi "The Light"
PACT-Ottawa is inviting you to participate in a writing contest as a part of the 6th annual End Slavery Day (ESD) 2013. We are focusing on human trafficking as a global issue, so your piece must be on the topic of modern day slavery. It could be a poem, a letter, a song, a short story, etc; there is no limit to how long the piece should be. Check out the contest poster and contest regulations, below, for more information! A special thanks to sponsors and all those supporting this year's event!